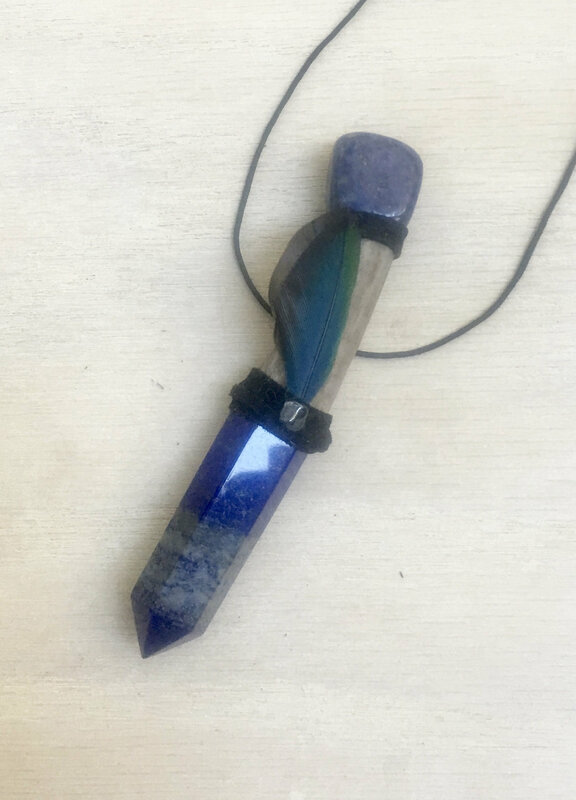 Evolution - Assists with Spiritual Development & Contact with Higher Realms; Fosters Intuition, Psychic Awareness & Manifestation; Encourages Optimism, Healing, Creativity & Open Communication. Dumortierite - brings this sense of order and clarity to all things, and releases fear, bringing courage to one's life. It is also acts as a booster for creativity and expression, bringing raw creative energy into an organized state allowing higher expression of that creativity. 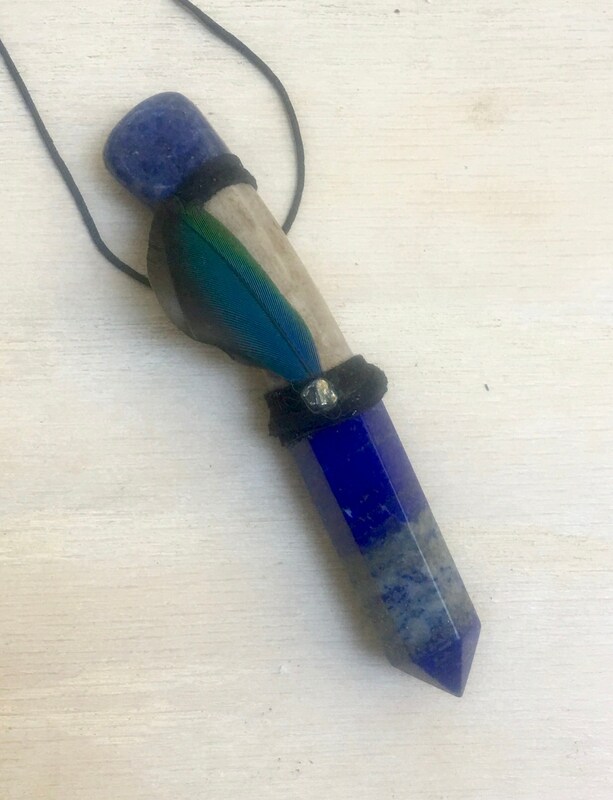 Raises spiritual development, as well as contact with spirit guides and angels. It can also help you express your spiritual thoughts and dreams. 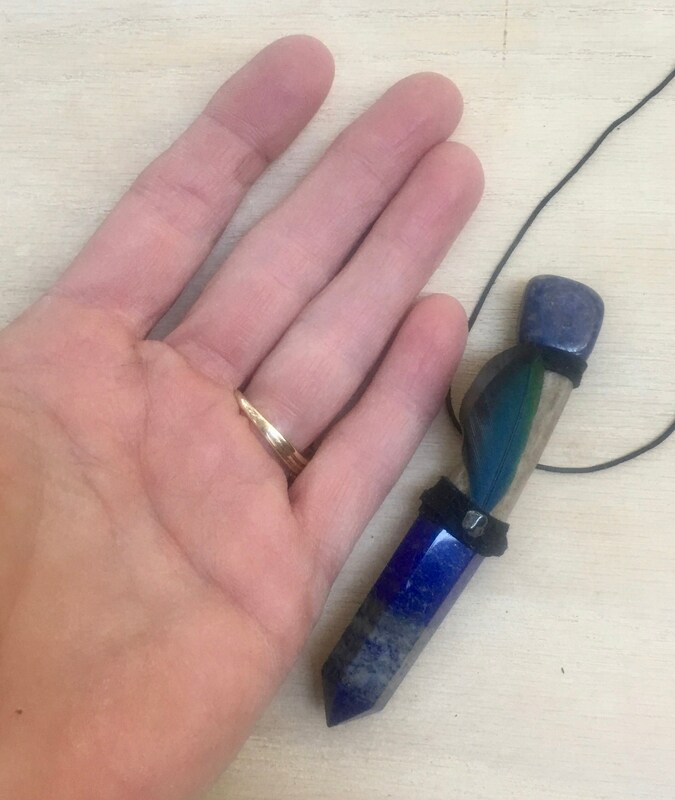 Is excellent for peaceful mindfulness or meditation bringing clarity to the connection with the universe. Assists with co-dependency issues. Hematite – assists in the release of preconditioned patterns and helps to open up to seeing other points of view. Hematite brings relief and peace from stress and revitalizes energy. 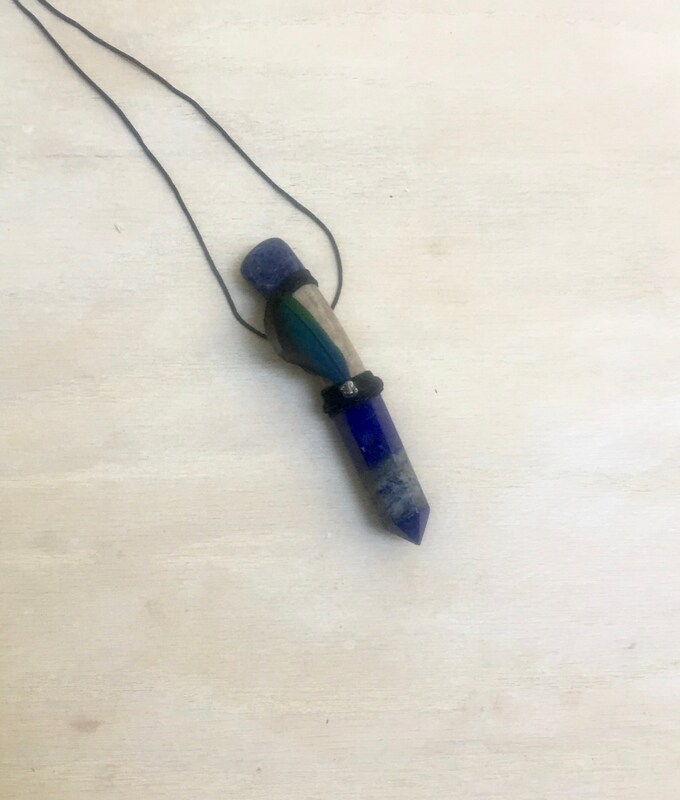 It enhances personal magnetism and optimism and assists in grounding. Place it on the heart chakra to strengthen it. Repels negative energies. 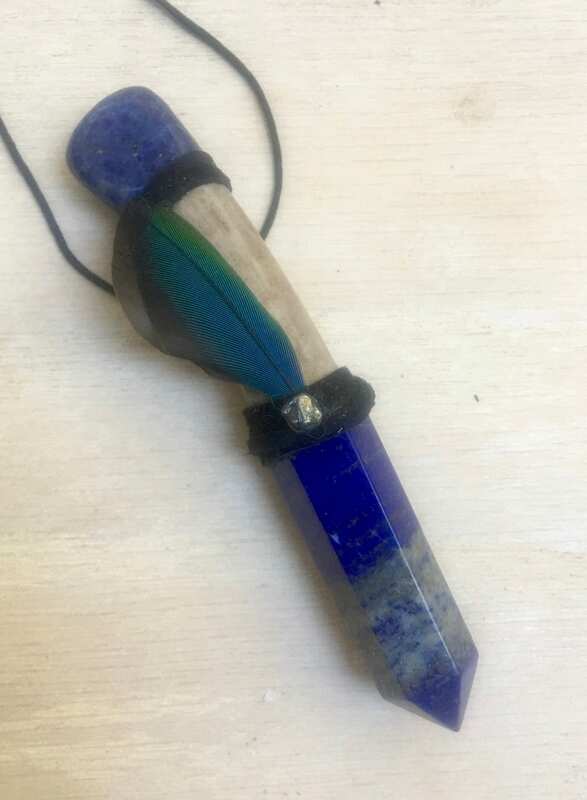 3.5 inches long; Lapis Lazuli 1 inches.